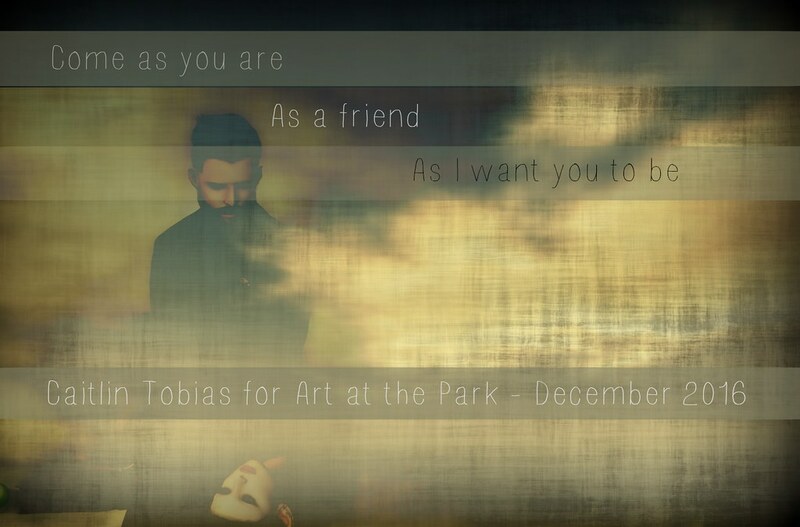 A few weeks ago I got an invitation from Inara Pey, who invited me to display my work at Holly Kai Park – for their monthly exhibition ‘Art at the Park‘. I was hesitant at first, it is no secret I am not a fan of SL photo-works being displayed Inworld. I simply do not see the point of going inworld to a Gallery and painfully zoom in on framed pics, while it looks so much better on my monitor in Flickr. The other thing is, I do not consider myself an SL Artist. I am a snapshotter and my pics on Flickr and my blog are just me documenting my Second Life. I do not have Photoshop, but for fun, I like to use filters in some free browser based software like PicMonkey. I’ve given Inara’s invitation some thought, and decided to give it a go. I had time, and it turned out to be fun to work on new pics including a theme and all, specially for Art at the Park. I want to thank my good friends who were willing to pose with me for this exhibition , and their patience, many big hugs to Brad, Huckleberry, JC, Tem, Gabriel and Nearly! Slurl: The Art at the Park event area, at the top of the hill – the large green area with the tables of food and drink! Dress for the opening is formal preferred, just to give it a little sparkle! Please feel free to invite your friends, love ones, fans, whoever! 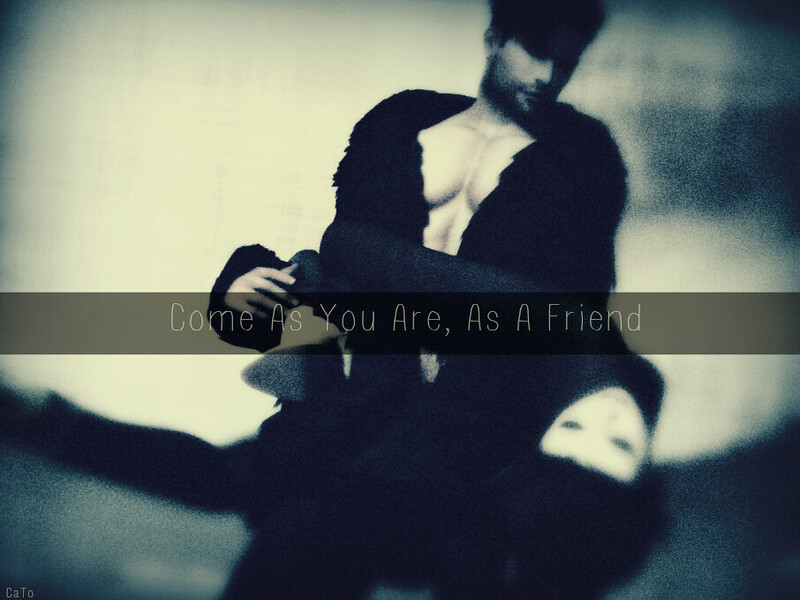 Pingback: Come as you are – What the Huck?